I have ordered three lots of trophies from you guys in the last month, two for the Mackay Off Road Racing Club and one lot for Autocorner. I just wanted to let you know how impressed everyone is with the trophies. At our off road racing event everyone was very impressed with the motorsport trophies and especially the quality of the engraving. We also ordered key rings to give to our helpers, who loved them (should have ordered twice as many so the club members could have one too!). For our Autocorner Apprentice Awards Night I ordered the black glass trophies. My boss’s are very impressed with the quality of the awards for the price, they look spot on and the logos are fantastic, very professional. Overall I just wanted to thank you all for your professional service, fast delivery and excellent products. I will definitley be ordering from you again next year. All the staff I have dealt with in these transactions have been friendly and always very helpful. Thanks again! I ordered some medals and a perpetual glass trophy a few weeks back for our company-wide hackathon we were running and firstly I have to say the process of ordering was absolutely first class – probably the best online experience I have had in over 20 years. I’ve also had many comments about the quality of the medals from the recipients. So kudos to you on a fabulous product offering. I am easily recommending your company to anyone I come across. Hope for Cambodian Children Foundation Inc.
Dear Everyone at Awards and Trophies, I would like to congratulate you on your amazing service and the quality of the product I received. The recipient was so chuffed that he had a tear in his eye. Please be assured that I went online and voted for your company and will continue to recommend you to everyone who is looking for your products/services. We choose Awards and Trophies to engrave over 500 crystal trophies for our annual awards and could not be more happy with the final result. The team were extremely professional throughout, prompt to respond to queries and generally helpful in every sense of the word. Every parcel sent was track and traced which made communications on our end a breeze and the trophies themselves carried the weight and prestige that the awards night required. 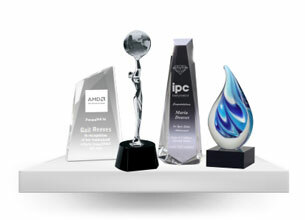 We'll definitely be working with Awards and Trophies in the years to come. Thanks guys! To the team at AwardsandTrophies, Thank you for your amazing service, ridiculously fast turn around and brilliant quality of product. Our awards on Friday night were an absolute hit due to your products. 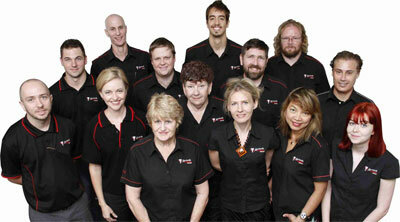 In a current online climate that consistently struggles this time of year, you have really raised the bar in service. Your team are to be commended! Hi, I received my order of engraved medals in Canberra yesterday. I think that was a six day turnaround from order placement. A day faster than estimated. I came across Awards & Trophies as a result of a Google search, and took a punt that you would be as good as your website suggested. I couldn’t have been happier with the experience from start to end. Great website with very good functionality and user friendliness. Great range of products. Online entry of engraving details was so simple and effective. Delivery was quicker than expected, and the finished product was perfect. Communication was excellent with regular email updates at each stage of production. Really, really happy with the service and product. Brilliant as usual! Easy to use web ordering process, great options for rush orders, fantastic choices of trophies, prompt and friendly service, good communication, and a perfect finished job looking absolutely beautiful and on time. Thank you so much - highly recommended!! Great prices, exceptional service & quirky comms letting you know what's happening each step of the way - could not recommend more highly. Thank you for your excellent customer service and delivery of such quality products for our Junior Golf Presentation. Recommend you to everyone. As always, the people at AwardsandTrophies are excellent - great customer service, fast delivery, excellent prices and great product. Who could ask for more? Will be back again next year! Even though we were running late this year, your service was great and the trophies arrived earlier than expected. Your design team went out of their way to get our job through and the end product was fantastic. Hi folks, I would like to congratulate the company on a terrific job with my glass award. Five days from initial enquiry to arrival at my door in Canberra was amazing service and I found all the staff most helpful during the process. The award looks great too – just as pictured. Trophys look great! Thanks so much! Thank you for our plaque and awards. We were extremely happy with the finished product! The ordering process was very simple. We look forward to using your service again when we are looking at celebrating future milestones. Thank you! Thank you! The trophies were a success and everyone thought they were a nice change from the usual girl/woman/boy/man with racket…. Hope to be in touch again next year, when our Tennis Club Championships are on! Recently ordered 15 odd trophies for an awards night i hosted and I would like to say this group of individuals are extremely professional and turned my order around in a matter of days. Thanks everyone at Awards and Trophies. Great Job! See you next year. Just a friendly email to give some feedback: We are just new clients of yours, this being our first order and can I just say it has been a pleasure so far dealing with you guys. From the couple of phone calls to the great email update and not to mention the quick response from this morning's first order I put through. People are quick to send a complaint when not happy but not enough people send great feedback when a job is well done. So thank you, my experience so far dealing with your company has been a pleasure. On behalf of the CQUniversity Corporate Events and Graduation team, I would like to sincerely express our gratitude for your professionalism and exceptional service during the process of organising our medals for the 2015 Chancellor’s Cup. This tournament is a highly significant and important event within our calendar, and the efficiency of your team in organising this fundamental part of our event, was greatly appreciated by us. We received the medals much quicker than expected and were delighted at how they turned out. Once again, we thank you for your guidance, assistance and professionalism in contributing to this major event, and we will most certainly be keeping you in mind for our future events. Bondi Breakers loved their trophies. Thank-you for the fabulous service and very competitive pricing. Well done. Thank you for the fantastic trophies! This is the first time we have presented formal trophies to arts students as normally the sport students are award recipients and the Arts miss out. I decided to change that this year and presented awards to years 8,9,10,11,12 for music, drama and art. To say the students were thrilled is an understatement. I'll definitely order through you in future! warm regards, Brooke. Just wanted to send you a quick email to say that your company is amazing. Great service – Fantastic Website – Amazing follow-up and processing of orders. The quality of the trophies were awesome and no typo’s – which is always reassuring. Please pass on my thanks to your team for assisting us in our awards program this year – we will be back next year! Just a quick note to say thank-you for the trophies. They arrived in good time and the players were thrilled with them. Once again it's been great doing business with you. I spoke to the mother of one of our Under 6 players today, apparently he is so thrilled with his trophy that he carries it everywhere with him and has not let it out of his sight since he received it last Thursday! I just wanted to thank you for the excellent service you provided me and also to note the high quality of the work that you did. Mitchell was ‘over the moon’ with it and I had a great 21st birthday celebration with him. Once again thank you. I will also pass on your company to anyone that is looking for similar work to be done. Hello! The order arrived today, looking perfect in every way. Thank you! Thank you to AwardsandTrophies for the amazing and personal plaques you designed for our coaches! They loved them and so did we! I’d like to once again thank you for the great job with our order. We received everything before the deadline (as usual) which gives us confidence to keep working with you. Initially we were concerned because of the distance, but you’re very efficient and always surprise us with our products before the deadlines. Thank you! We received the shipment of medals today; they look good. Thanks! I will send you some photos of our event next month. * very easy to use and follow and great pricing. my delivery actually came early which was great! fantastic all round. absolutely recommend. * This is the second order I have placed with Awards and Trophies. Each time the company has been very prompt in supplying a proof for my approval and have kept me informed of the orders progress. The second order was an urgent request as I placed the order on the Monday and needed it at our offices in Sydney by the Friday for a presentation at our Xmas party that night. I was very pleased to receive the order a day early on the Thursday! 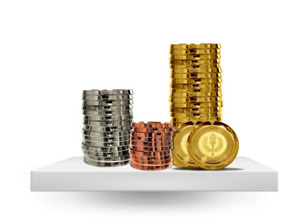 The awards themselves have been of good quality so we have no hesitation in recommending Awards and Trophies. * AwardsAndTrophies.com.au is a wonderful company. Customer service is first class, communication with customer is swift and clear, product is good quality and reasonably priced, and staff are always helpful. No question goes unanswered, and delivery is tracked via Australia Post, arriving within quoted time frames. Highly recommend AwardsAndTrophies.com.au for anything you may need. * Delivery was almost too fast as the trophies arrived before the letters explaining what they were for!! Great experience, great customer interaction, will definitely use again. * Great product! Perfect service! * Pleasure to work with, great quality product! * What an amazing company. 100% customer service 100% prompt delivery 100% quality product. Highly recommend! 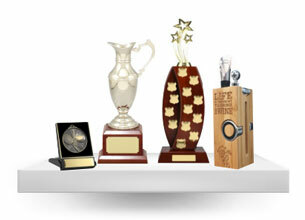 * AwardsandTrophies.com.au provided a quick, efficient and cost effective experience for the purchase and supply of this year's club trophies. 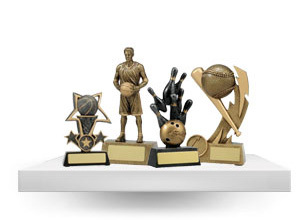 All trophies were of a high quality and the on-line purchasing and engraving options were excellent to manage. Thank you to the team at Awards and Trophies! The trophies for our 2014/15 Season Presentation Evening were fantastic! Ordering was easy and delivery speed exceptional! Great job! Hi guys, Extremely remiss of me not to let you know the three keyrings arrived just on time. You have no idea how, a group of beautifully engraved letters, made three people so so very very happy. So, with deepest gratitude, a very big THANKYOU to you two and any other anonymous people who worked behind the scene. Fantastic service. Yep, it’s the little things in life – and you contributed hugely. All the best for the future, and rest assured I will ALWAYS use and recommend you. This morning I received a trophy that I ordered for my grandson commemorating his 50th football game, and I just wanted to pass on my appreciation and satisfaction. I’m thrilled with the beautiful and unique trophy I received and I’m sure my grandson will be too! This was my first purchase from Awards and Trophies, and I wouldn’t hesitate to purchase from your company again, or recommend Awards and Trophies to others. Thank you again for delivering a quality product that’ll become a treasured keepsake for my grandson Jaxson.